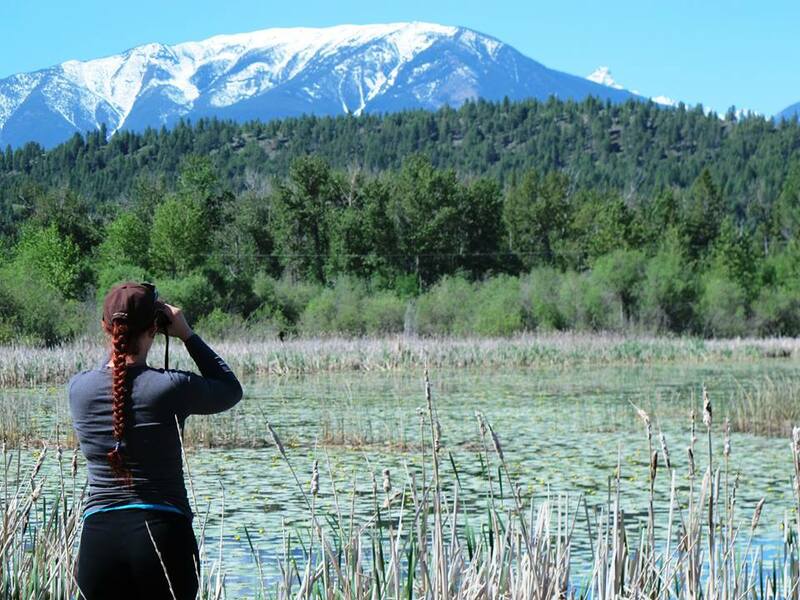 The Wetlandkeepers course held in Radium Hot Springs (May 22-24, 2015) led by Jason Jobin, was a fun-filled, informative weekend on all things wetlands. There was a diverse group of participants from Invermere, Radium Hot Springs, Fairmont, Edgewater, and Cranbrook out for the workshop. In partnership with the Columbia Wetlands Stewardship Partners and the Lake Windermere Rod and Gun Club, 15 participants learned about a variety of wetland research and information. With five incredible speakers the course was diverse and very informative, giving participants ideas on how to conserve, map, and research wetlands in their local areas. The course started with Jason Jobin opening up a discussion on the Columbia River Wetlands and teaching the basics of categorizing and classifying wetlands, their values, and their importance to environmental health. Jason also led a discussion and activity regarding topographical map use. Rachel Darvill held a discussion on identifying wetland birds and gave great tips for easier identification of waterbirds. She told us about her project with the Columbia Wetlands Waterbird Survey and how she is conducting the survey with her volunteers. Rachel then took the group to Radium Mill Pond for some hands on identification in the field. Cathy Conroy came to the classroom after lunch to give an information-packed lesson on how to identify invasive plants and other species. She had a great guides and hands on displays to help participants get a strong idea of what to look for in the wetlands. Participants then went to the gorheous Wilmer Slough to work on a Wetland Plot Classification. Invertebrates were introduced to us by Darcie Quamme in regards to her research on aquatic invertebrates as indicators of wetland health. One thing to remember is that in general, the larger diversity of invertebrates there are in a wetland, the healthier it is. After this hearing of this ground-breaking research, Jason led an invertebrate identification session and then the group went to the Toby Creek wetland to investigate some invertebrates they had caught. The group found tons of different species! Nola Alt gave a great talk over lunch about the Columbia Wetland’s Stewardship Program and its goals and visions. The session in the field ended with a quick lesson on how to use a GPS to map the wetland. After gathering some data it was back to the classroom to learn about uploading and using the data collected on the community mapping network. The weekend was a great success with new plans and vision. The group was eager to begin their own projects. ← Squamish River Watershed Society: Estuary Alive!